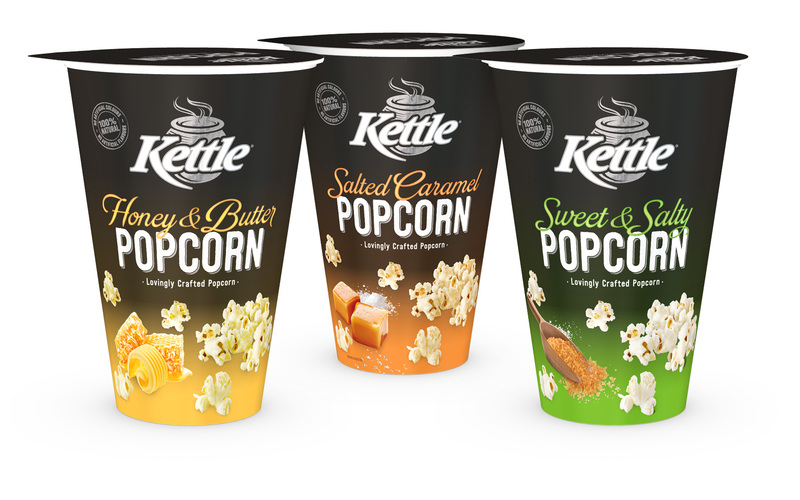 Following the successful launch of the Kettle Popcorn bag, the range was expanded to include a convenient cup format. The smaller serving size and easy to hold format taps into the consumer demand for snacking on the go. Available in three varieties: Honey & Butter, Salted Caramel, Sweet & Salty. Source: Food&Drink Sept. pg 34 …from the Exberry Colouring Foods, GNT. Popcorn is no longer a snack for the movies. Having already emerged some time ago, salty popcorn is experiencing a major boom. Unexpected flavour combinations are creating hot, grown- up snacks that go nicely with a glass of wine as well as a relaxing evening in front of the TV. Gradually the savoury alternatives are outstripping sweet popcorn options. Brands have to deliver high-end ingredients. This means that additives and artificial colours are becoming a no-go.